Discussion in 'Some Assembly Required' started by k1c, Mar 9, 2016. Hi, I am french and I went time to time on this forum. I am 56, driving licence at 16, and then not a month without riding a bike. 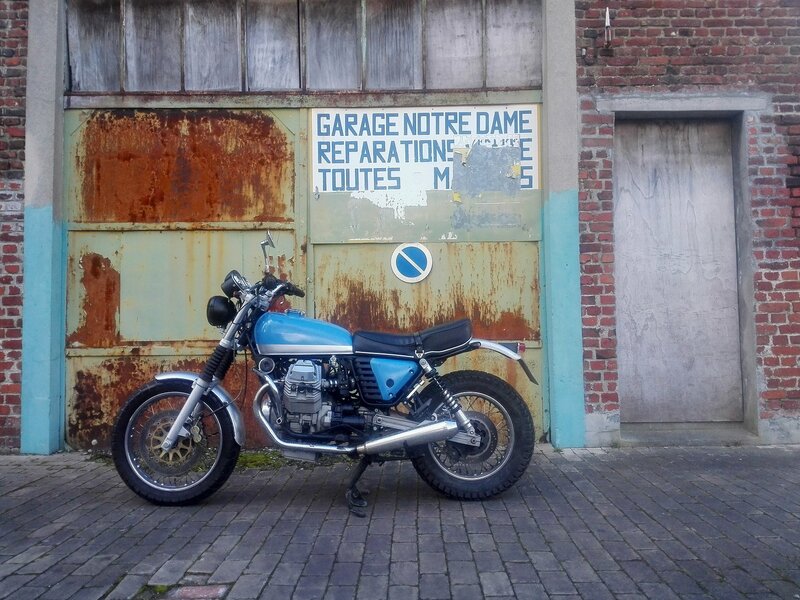 I still have a 1979 250 MZ, 1978 T140 bonneville, 1977 Guzzi Le Mans, and a 2006 Guzzi Norge for every day use. The first time I saw the Ducati Scrambler, I think, Whaooo ! 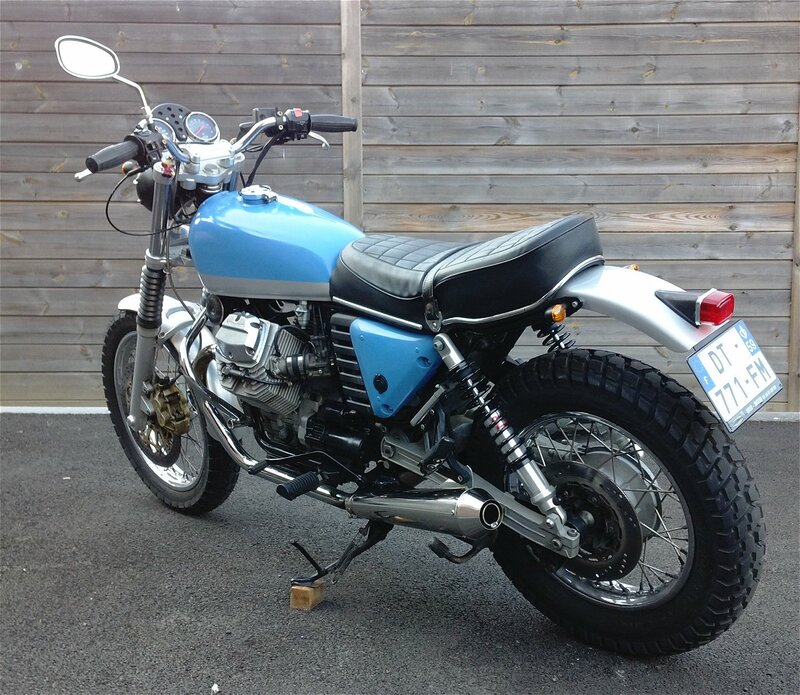 light, torquey, nice 70th looking, the kind of bike you just want to throw a leg over and ride ! 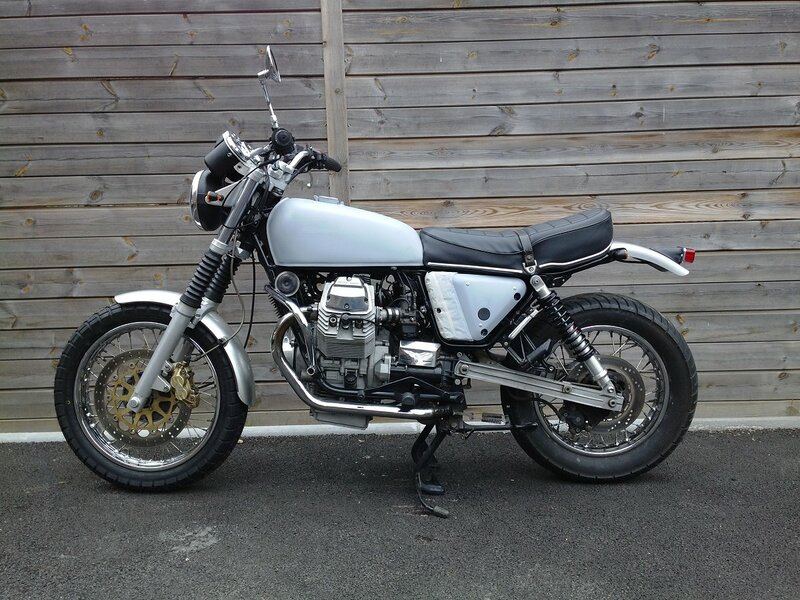 As I need a cheap bike, I found the Guzzi ugly duckling: a 750 Nevada: 13 500 km and 1200 Euros ! Then the motorcycle is not anymore too much on the rear. Antti, MirthfulThylacinator, flinders_72 and 40 others like this. Whoa! That is a transformation from the ugly Nevada you started with! Very cool bike, nice work! k1c and JB2 like this. That Nevada is one ugly bike, but your transformation made it quite cool, and I bet more functional! You did a Great job......! The back fender makes it....... What from.....? Thanks for all your positive comments ! Te Hopo and smolt like this. Totally obvious now that you say it, perfect choice. GR0NK Got some screws loose! En premier j'étais comme WTF! Mais une fois t'as mis le réservoir j'ai réalisé ton plan. 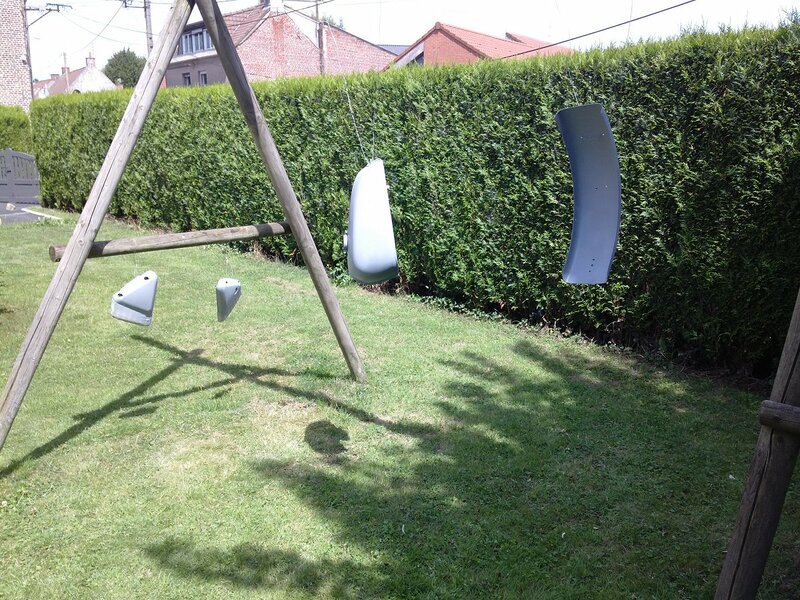 Bien fait. 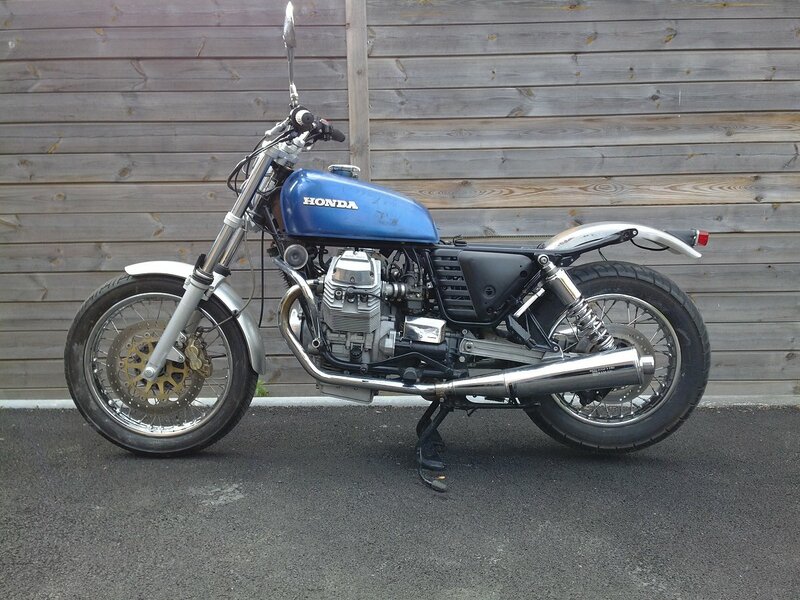 That Nevada is like starting with a Virago or something but it totally came out awesome. k1c, JB2 and JimVonBaden like this. What a great looking bike. Excellent work. Got a suggestion you might try. Back in the day we would nix the seat strap. Passenger would never use it any way. It might smooth out the seat lines. Cheers and well done ! 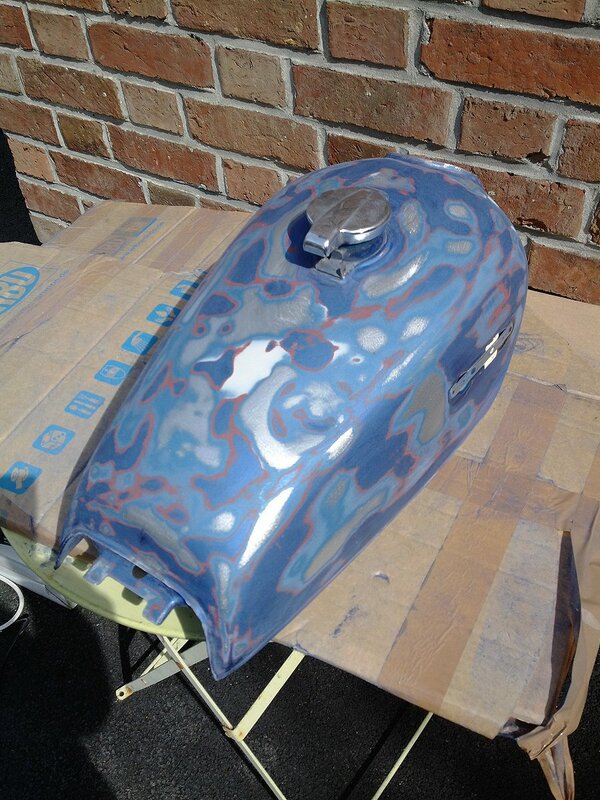 Hi Wombat, it's a Honda 360 CB Tank, a 350 CB k4 seat and Guzzi V7 Stone sidecovers. That tank is perfect. How did you know what would fit the bike or did you have to do a lot of alterations? Great build! 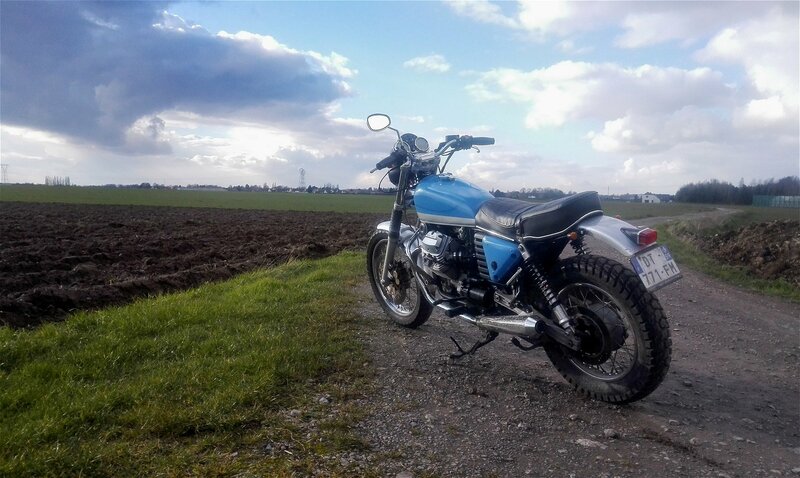 For the choice of the tank, I wanted nice classic ‘70s design, not too big capacity (it's a scrambler), cheap (so produce in big numbers). the flat sandy part of Florida-you know the place. Very nice. I like everything about it. Looks like a real motorcycle. I need to know from you: What is the length of rear shocks that you decided on - keeping in mind the UJ limitations - as I need longer ones, too.